Yasmin Miller, who represents Great Britain in the hurdles, came to visit us on Wednesday 7th February. Children and staff alike were treated to an inspiring and motivational talk about what life is like as a modern day athlete. Yasmin spoke about her achievements and disappointments, her goals and sacrifices. She said that the support given by her family was key to her success and her aim is to compete in the Olympic Games in Tokyo in 2020. All of this combined with being a newly qualified lawyer too. Amazing! Yasmin spent the rest of the day working with Years 1, 2, 3 and 4. The children demonstrated incredible Colla skills with their team spirit and co-operation, much whooping and shouting could be heard inside and out. We would all like to thank Yasmin for her time and commitment to our next generation of budding athletes and wish her Good Luck in her future competitions. One final piece of advice from Yasmin, put your phone away and never give up on your dreams! Author holaruthiebPosted on February 9, 2018 February 9, 2018 Categories Whole School, Year 3, Year 4Tags Sport, TeamworkLeave a comment on British Athlete visits Holbrook! What an amazing treat! Last term, Holbrook children met the British sprinter Deji Tobias in a whole school assembly and then had a class P.E lesson with him in the sunshine. Children and staff alike were impressed with his dedication, sense of humour and down to earth vibe which resulted in a positive and inspirational experience for all. Deji currently competes in both the 100m and 200m sprints and talked about his likes and dislikes about his training regime and races. Olympian Deji Tobais Visits Holbrook! He spoke with children about working hard, never giving up and making changes in their lives in order to achieve. He also spoke about the injuries that he has faced over his career, including suffering from meningitis and becoming deaf in one ear, including how he still gave his very best in order to compete in athletics championships. Author Mr ThornsPosted on October 16, 2017 October 21, 2017 Categories L.R.P, Whole School, Year 1, Year 2, Year 3, Year 4, Year 5, Year 6Tags AspireBelieveConquer, Assembly, FindingOut, Fun, Growing, P.E, Sport, VisitsLeave a comment on Olympian Deji Tobais Visits Holbrook! Those who have not visited Wales, have been taking part in some offsite visits and fun activities back here in Gosport instead. 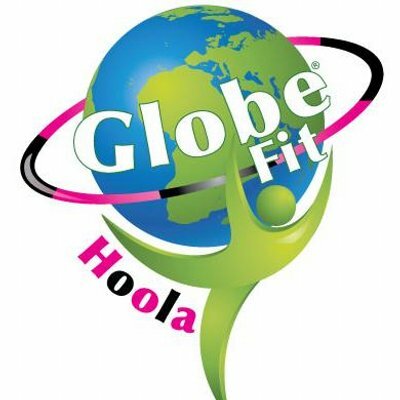 Today, we were visited by Hannah from Globefit-Hoola who taught us some hoola hooping tricks. We all enjoyed learning how to spin the hoops on our waists as well as our arms, which at first was a lot trickier than it looked. By the end, we were all confident hoola-hoopers and even created our own routines using tricks and moves taught to us! Leave a comment below to let us know what you thought! Author Mr ThornsPosted on June 8, 2017 Categories Year 6Tags Collaboration, FindingOut, Fun, Learning, Performance, Sport1 Comment on Hoola Hooping Workshop! Over the last 2 years, Year 6 have been volunteering and giving up their lunch breaks to organise sports and games activities for the rest of the school. Author digitalleader2017Posted on May 22, 2017 June 8, 2017 Categories Whole School, Year 3, Year 4, Year 5, Year 6Tags Collaboration, Competition, Fun, Outdoors, Sport, TeamworkLeave a comment on Year 6 Holbrook Hero!